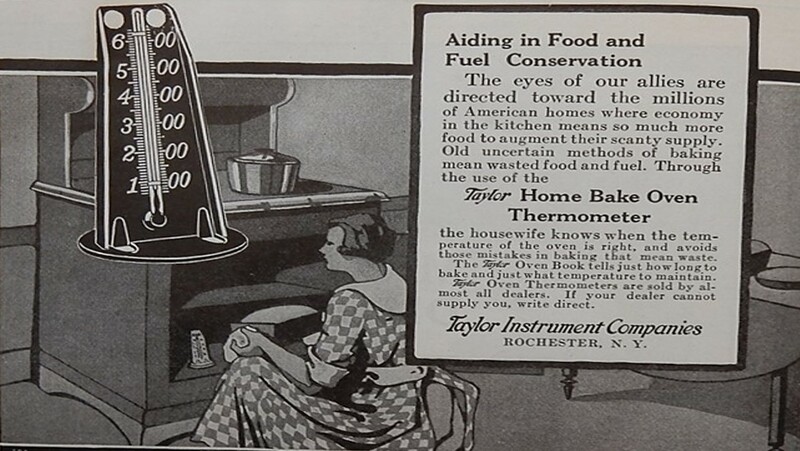 I was surprised to see an advertisement for a oven thermometer in the February, 1919 issue of American Cookery magazine. Cooks had a bit more information about oven temperatures than I’d previously realized. Cooking with wood and coal stoves a century ago could be challenging. Hundred-year-old recipes never indicated the exact temperature that should be used when baking food in the oven. Instead the recipes said things like use a “high temperature” or a “medium temperature.” And, the cook was left to her (it was generally a woman in those days) own devices to figure out how to regulate the temperature. For example, more wood or coal might be thrown on the fire to get increase the temperature. Heinz Baked Beans have been around for more than a hundred years. The endurance of some products is amazing. Remember Postum? It was a roasted grain powder that was mixed with hot water to make a beverage. It was often considered a healthy alternative to coffee or tea. 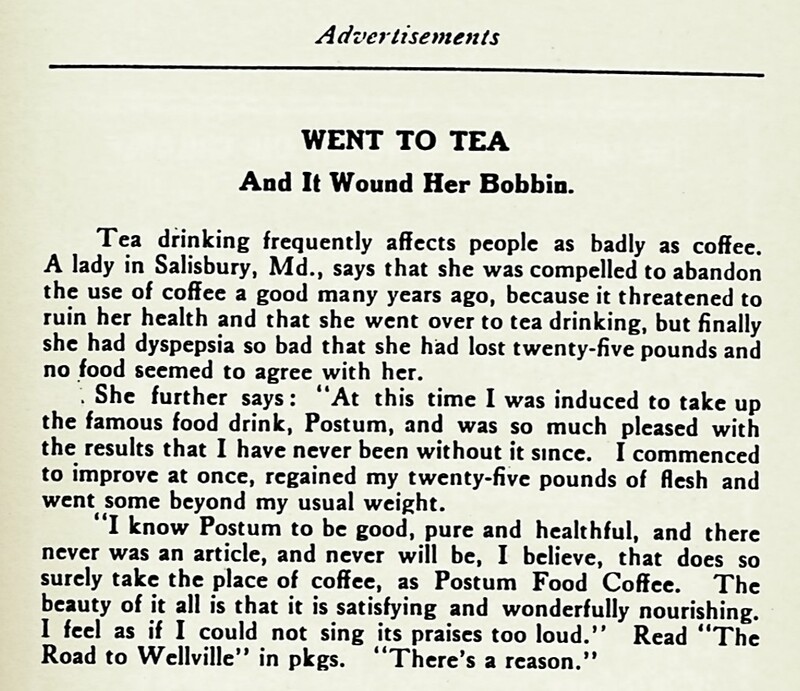 This Postum advertisement was near the back of a 1907 Pennsylvania community cookbook. 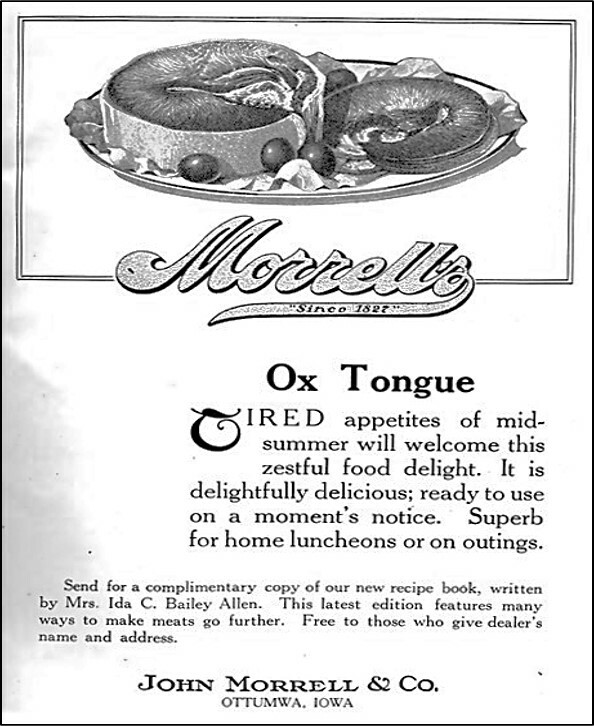 In any case, if this is a problem, here’s a 1918 advertisement with a solution – serve Morrell’s Ox Tongue. Food is expensive – both a hundred years ago and now. It’s interesting to see how a 1918 advertisement for Quaker Oats framed the cost of meals around calories. 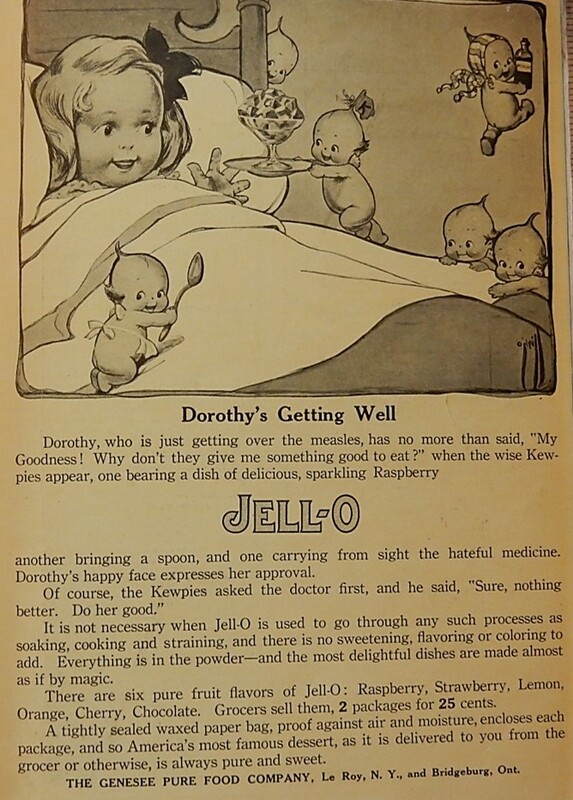 Back then, apparently getting more calories per amount spent was considered a good thing. Today, are people willing to spend more to get fewer calories? What the heck is steel-cut coffee? It sounds like it should be a type of oats and not coffee. 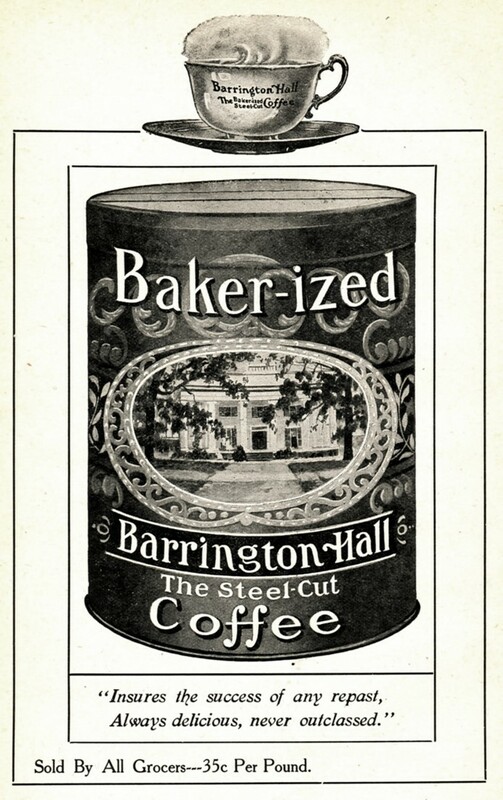 And, baker-ized sounds like cakes or cookies rather than coffee.